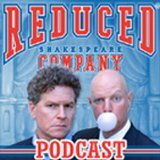 It's podcast time again at the ole myTunes blog. And not just a podcast: a video podcast. 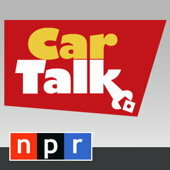 I don't much go in for video podcasts; most of my listening is in the car, where they really, really don't recommend trying to watch video. (Damn traditionalists.) So it has to be something special to get me to break my routine. And so it is with Mr. Deity. But not the kind of special that attracted to me to Geek Brief.TV or French Maid TV or Tiki Bar TV. (Sorry, Dr. Tiki, but you know I just watch for Lala.) No, what's special about Mr. Deity is how it (or should that be he?) puts this whole "Hairy Thunderer or Cosmic Muffin" thing into context. Now this is a Supreme Being I can get behind. This post is a first, for a few reasons. For one thing, although I've mentioned podcasts in a few previous posts, this is the first one I've devoted to a podcast. And for another, it's the first time in this blog I've hawked something with which I'm associated. I do it all the time in my other blog, but not here. Until now, that is. 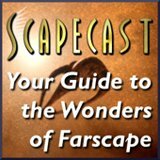 If you've ever seen Farscape, you'll find a lot to enjoy in The ScapeCast. And if you haven't, well, we may not convince you, but we'll certainly make you wonder. What, I won't say. Oh, and my contribution to the show? I read, which I've been doing since I was four or so and at which I've developed some facility after so many decades. I even do funny voices. Funnier than my natural voice, anyway.